Oct. 3, 1927 - December 29, 2009 - age 82, passed away Tuesday, December 29, 2009, at Olathe Medical Center. Services will be held at 11 a.m. Saturday, Jan. 2, at First Baptist Church of Shawnee with the burial at 2 p.m. Monday, Jan. 4, at Mt. Pleasant Cemetery in Norwich, Kan. Visitation will be held before the service from 10 to 11 a.m. at the church. Grover was born to Mr. and Mrs. Alfred Fisher on Oct. 3, 1927, in Miami, Okla. He was very proud of his Indian heritage and was a member of the Seneca Cayuga tribe in Oklahoma. He attended school in that area and in 1943 moved to Wichita, Kan. During WWII he served in the United States Army as a Staff Sergeant in Japan. He was a member of the Trinity Blue Lodge and a 32nd Degree Mason of the Albert Pike Lodge in Wichita since 1956. He was also a member of the American Legion and the NRA. While living in Wichita he attended Friends University. On May 21, 1949, he married Nondis Krase at the Epworth Methodist Church in Wichita. They recently celebrated their 60th wedding anniversary. He was employed by Southwestern Bell Telephone Company in March 1951 as a lineman. He then went on to be an installer, switchman and finally a manager. He retired from the company January 1991 after 39 years of employment. He served on the Board of Directors for the Telephone Employees Credit Union for six years and was President for two years. He is a lifetime member of the Telephone Pioneers. Before beginning his employment with SWB he worked as a journeyman carpenter, mostly on school buildings and large office buildings. He professed Christ as his Savior and was baptized at Immanuel Baptist church July 1951. After becoming a Christian he was influential in the remainder of his family being led to the Lord. While attending Immanuel he taught Sunday school classes, and sponsored Youth groups for 20 years, served on the Deacon Board and served as an usher. He coached softball and basketball for church leagues. After moving to Kansas City he was a member of Nall Ave. Baptist Church for seven years and First Baptist of Shawnee since April 1978. He has served on the deacon board and various other committees while attending there. He also was a member of the Shawnee Kiwanis Club and served as President and held other offices in that organization. He was President of the West Vernon Place Home Owners Association for several years. 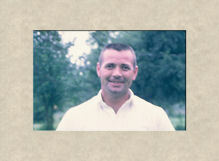 He liked sports, fishing, hunting, and was a loving husband, father, and granddad to his family. Surviving are his wife, Nondis, daughter, Priscilla Kay, and two grandsons, Jeffrey Clyde and John James; three brothers, Rev. Charles Mathis of Butler, Mo., Rev Larry Mathis of Tucson, Ariz., and Bruce Edwards of Toledo, Ohio, and a host of relatives and friends. Preceding him in death were his parents, Alfred Fisher and Jaunita Edwards, his sister, Westine Rice, and his niece, Sharon Nothnagel.